These airsoft optics are designed to be used with both eyes open in low light, so are perfect for CQB. However with two reticule colours and 10 brightness settings they are suitiable for any airsoft gun with a 20mm rail in almost any conditions. 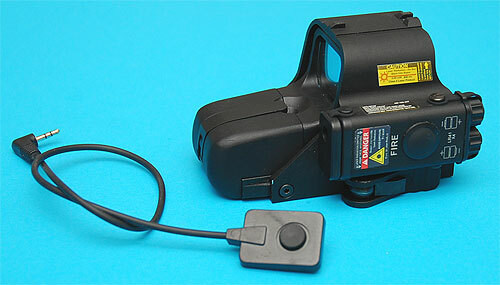 This model also includes a fully adjustable side mounted laser sight.